Irish singer and guitarist for hire. Paul Kerr / Beckett. With the ability to play a vast array of different musical styles, Paul as a soloist or with duo, trio or full band is ideal for any event. Paul Kerr is an Irish musician performing all over Britain. 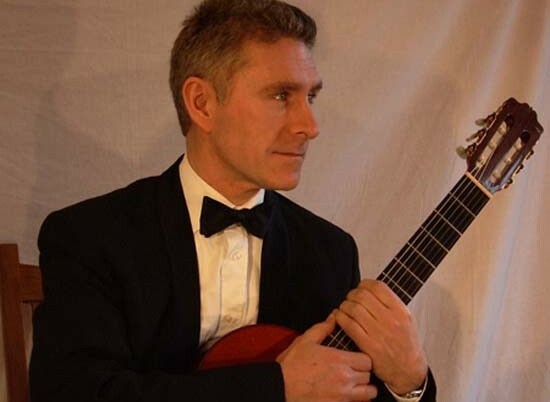 He is a classically trained guitarist who also plays steel stringed guitar and electric guitar, and covers Irish music, both traditional and contemporary, Scottish and English folk music, together with a wide range of European styles, and pop covers and jazz classics. He sings as well as plays guitar, and also composes. He can perform solo or as part of a duo or trio, but a number of bands that Matters Musical represents are also fronted by Paul. These include Acoustica! and Beckett. Beckett cover a lot of bases. You might need some traditional Celtic music, perhaps even a caller for a ceilidh or a barn dance, but you also want something different. Perhaps a little Latin, Jazz, pop, country, rock and even good old R ‘n’ B. Paul Kerr and the Beckett musicians are adept and experienced in all these styles and more.